The Corpus Diplomaticum Neerlando-Indicum comprises six volumes, published already between 1907 and 1955 by Mr J.E. Heeres and Dr F.W. 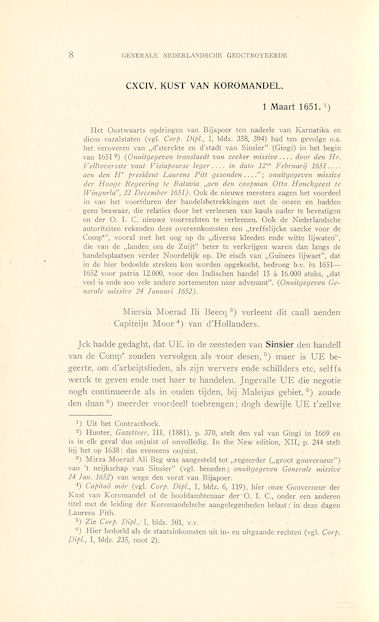 Stapel at the Koninklijk Instituut voor Taal-, Land- en Volkenkunde (KITLV) as a ‘Bijdrage tot de Taal-, Land- en Volkenkunde van Nederlandsch-Indië’. These volumes contain the most imortant collection of political contracts and treaties (more than 1200) concluded by the Dutch in Asia and permits granted to them. It is a rich historical source, but until now only available in print and non-searchable. The Corts Foundation decided to scan these volumes, partly OCR them and create indexes on the contracts, and names and places in these volumes. The first volume has now been digitized (196 contracts) and published online on the website of Sejarah Nusantara in Indonesia. Also on the same website the already existing database of the Marginalia (117.390 entries) is extended with indexes on person names and place names. The existing database of the Appendices to the General Resolutions (1213 entries) is extended with a few volumes and also indexes on person and place names. 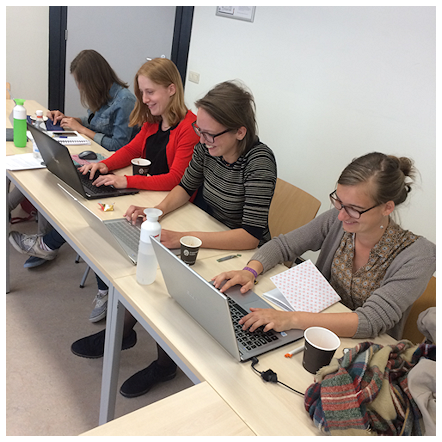 On June 6th 2017 four History students of Leiden University started checking and enhancing two digital datasets for access to the Dutch East India Company Archives of the National Archives of Indonesia. The work includes the recording of indexes of person and place names present in the so called Marginalia of the Daily Journals of the Castle of Batavia, and also document descriptions of the series Appendices to the Resolution Books. 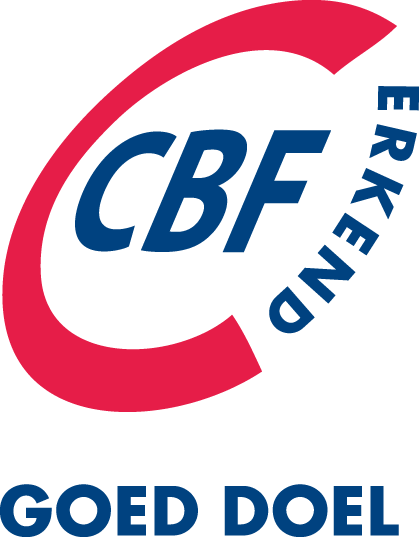 The students are supported and guided by Alicia Schrikker and Lennert Bes, both teachers at Leiden University, and Marco Roling and Joan Snellen of The Corts Foundation. The students have the opportunity to get more acquainted with the archives of the Dutch East India Company and her large variety of documents, and also it is a good excercise in reading and interpreting 17th and 18th century texts. 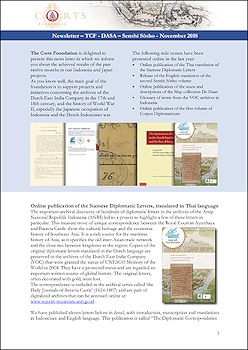 Later this year both these indexes will be published online on the website Sejarah-Nusantara. 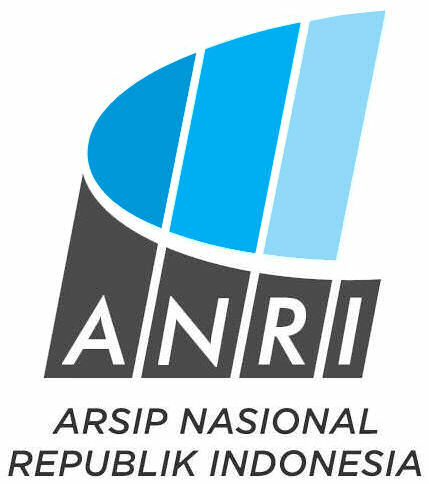 The Dutch association "De Haagsche Besoygne" has awarded The Corts Foundation for her invaluable efforts and merit for the digital sustainable preservation of Dutch East India Company archives in Jakarta and in particular the digitization of about one million documents at the National Archives of Indonesia. 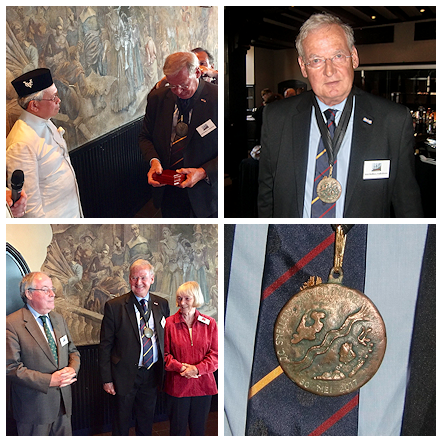 The secretary of The Corts Foundation, mr. Joan Snellen van Vollenhoven, has received a honor medal on May 30th 2017 at "'t Goude Hooft" in The Hague, on behalf of the board and all participants of the DASA project. 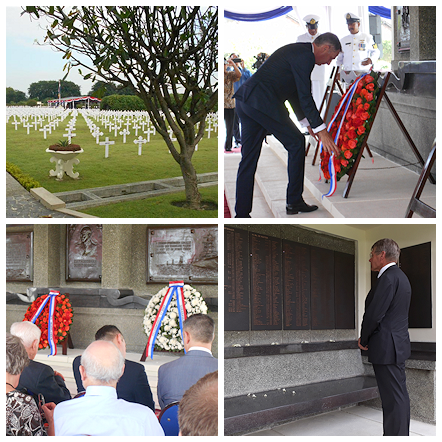 Monday 27th February 2017 the Dutch Oorlogsgravenstichting organised a commemoration at the war cemetery Kembang Kuning at Surabaya to honour the casualties of the Sea Battle in the Java Sea, 75 years ago. Wreaths were laid down by the ambassador of the Royal Kingdm of the Netherlands, the director of the Oorlogsgravenstichting, the president of the National Comittee 5 May, by survivors and by descendants of the victims. This was an emotional meeting where offcourse was memorised that the sunken allied war ships were no longer present in the war grave of the Indonesian waters. March 1st 2017 a second commemoration was organised, where the admirals of both Indonesian and Dutch naval forces laid wreaths. Representatives of the various allied forces extensively declared the importance of this mutual sacrifice of both navies. On behalf of the The Corts Foundation mr. Joan Snellen van Vollenhoven (secretary, ex-marine officer) was present on both occasions, accompanied by Prof. Bambang Hidayat (advisor TCF). The Corts Foundation is presently working on translation of a volume of the Senshi Sosho from Japanese to English, regarding the Battle of the Java Sea.